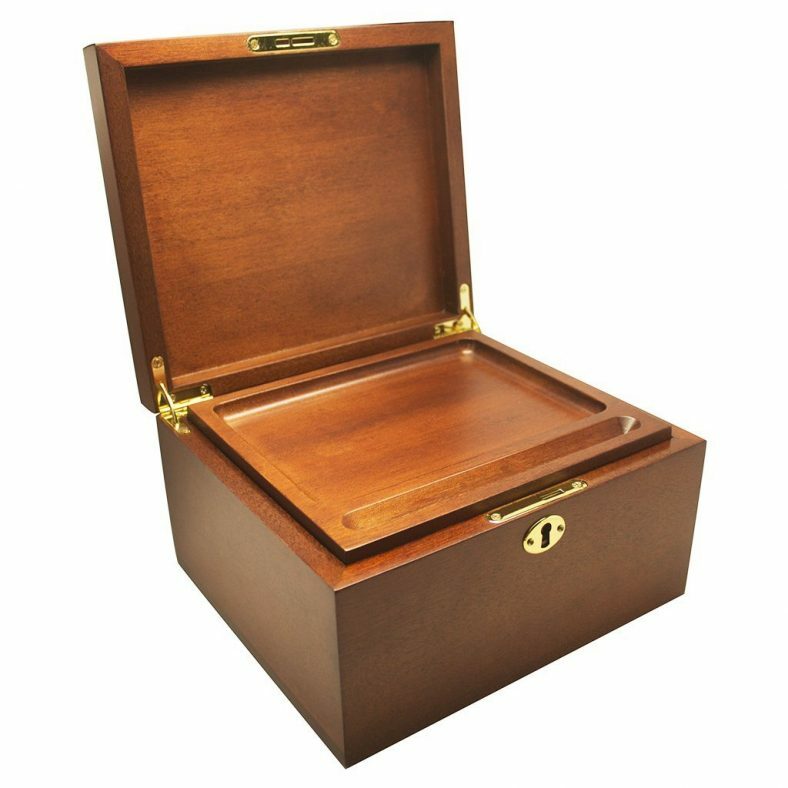 Ooh wee check out this absolutely gorgeous mahogany wood stash box. This meticulously crafted wooden storage box from Hakuna is just the thing you need to take your stash to the next level. This is the penthouse of weed storage (penthouse as in the top apartment, not the magazine…but I’ll be the first to admit I am indeed sexually attracted to this box). 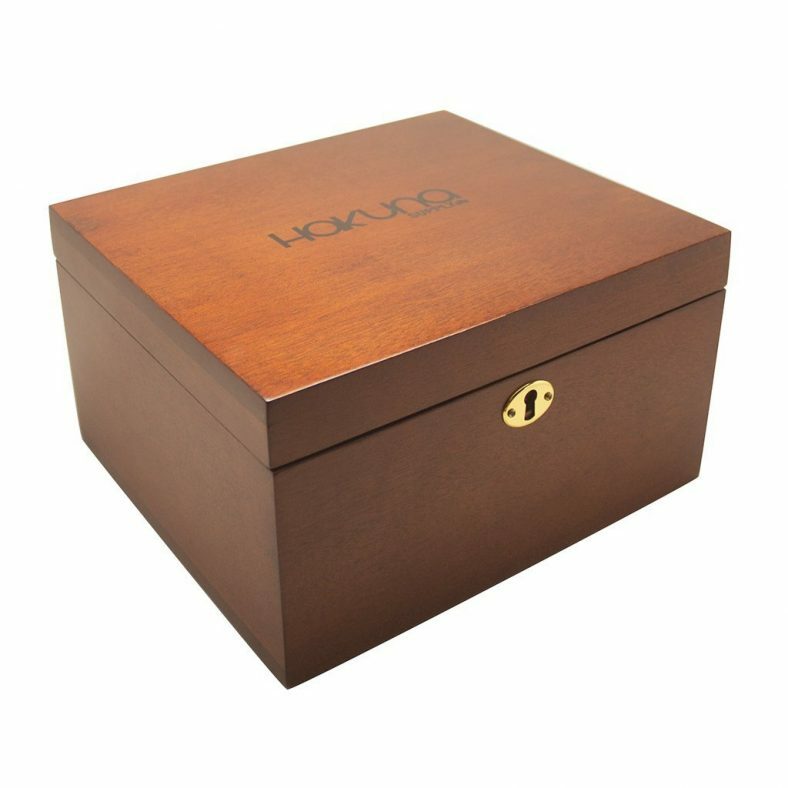 Hakuna makes a lot of cool boxes, (that you can pick up on amazon btw), but this shiny mahogany number stands out. It’s the Signature XL, featuring a locking lid with a brass lock and key, a removable wooden rolling tray, and three segmented storage areas tucked away under the tray. It even comes with two premium bamboo stash jars and grinder, complete with keif catcher and a lil bitty keef shovel! 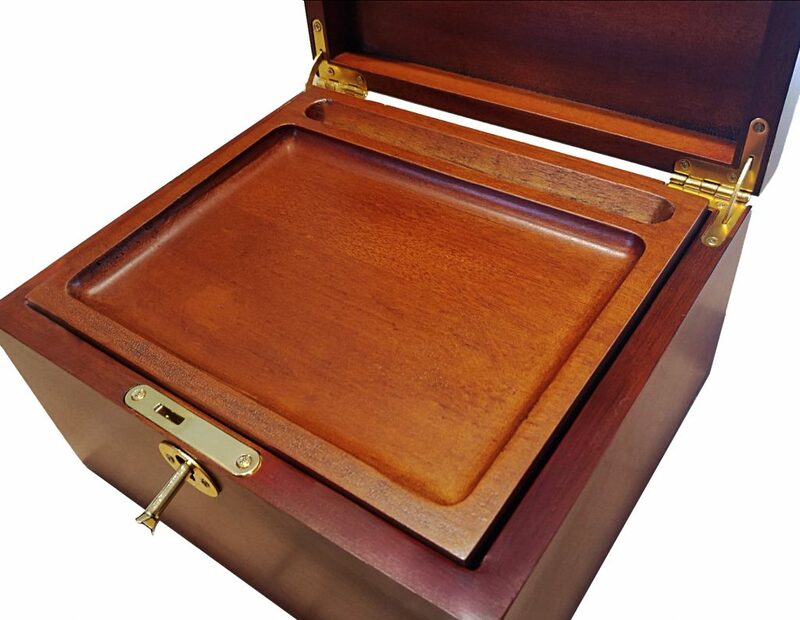 Whether you’re a true weed aficionado or you just want to be, make this awesome mahogany wood storage box and rolling tray the centerpiece of your stash.